Very nice and helpful staff , very clean rooms. DISAPPOINTED TO HAVE BOOKED A ROOM WITHOUT BULKHEAD THIRD BED WHICH WAS AVAILABLE AT THE TIME OF MY BOOKING AND CONFIRMED ALSO ON MY CONFIRMATION SLIP SENT BY E MAIL AND ON MY ARRIVAL TOLD THAT I HAD TO CALL THE HOTEL IN ORDER TO GET WHAT IT'S AVAILABLE (??????)! The quality corresponds to the money you pay. It was the worst Hotel ever. The room and the bed was tooooooo much dirty, uncompftable, loud.... We could not even sleep. The elevetor was also out of order. Great service and great hotel. We had clean towels which were replaced after a day. The replacement towels were dirty/old. The tv and the remote looked like they have never been dusted. Free parking was good. Good access to eiffel tower on train, but the area looked very poor. My stay here was ok. So much better then my stay in Premiere Classe in Epernay! That was a horrible experience!! Will not go at IBIS Gennevillers again, but it was ok. Clean room, clean sheets. But a not working elevator!?!?! That is not acceptable!! Receptionist are polite. Ibis can improve the cleaning. The room smelled smoked, you had to enter and open a while the window to get it away a bit (or get used to it). The shower seemed fungus and toilet smelled urine the whole time (As if never use cleaning products). Also a towel out of the shower will be ok, the floor gets soaking with drops of water from the door. The elevator was broken the day we arrived then fixed but again broken the 3rd day we stayed. I think is Hotel is clean and nice. Also, the receptions and staffs are friendly and helpful, but I never get response when I send email to ask questions. So this need to be improve. I've had such a lovely time staying there. The room is super clean and comfortable. The only negative point for me is the quite far distance I took from the nearest RER (Les Gresillons) to the hotel (especially when I've got 2 big luggage to carry). The instructions to get into the hotel late at night were not clear. After attempting the pin code more then 4 times - I gave up for 20 minutes. I rang for help but the night porter did not understand. I would suggest that a picture of the printed receipt is shown on a poster and the door PIN number circled to enter the hotel. it was pleasant, staff were friendly, towels were too small. I guess the hotel is what you pay for. My family and I wanted to explore Paris but without having to stay in hotels in the centre that are overpriced. We were 2 adults and a child. Upon arriving at the hotels, all went smoothly. When we entered our room, it is very small of course but I expected that. I was disappointed to see that the top bed wasn’t even made and we were left a bad with pillows and bedding for it instead. We were given 2 bath towels and a medium towel. Again my son was forgotten about as the towels were enough for the adults and I assumed the medium towel was for our face (although it’s not nice to share the same towel around 3 people). Would have been helpful to have a mat outside the shower so that the floor doesn’t get wet. It’s also a fall hazard. There was no AC and we stayed during the 2 hottest days in Paris but luckily were only there in the morning and at night when we went to sleep. Can’t comment on the breakfast as I didn’t include it but it sounded very simple. Tram station was about 30 minutes walk from the hotel. We left our car parked at the hotel and used the tram to get to the city centre. 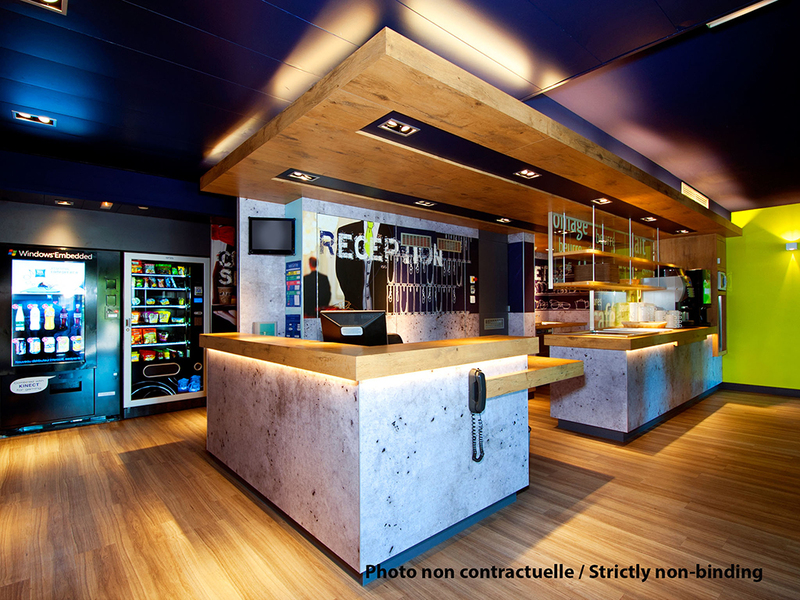 Overall, I was a little disappointed with the quality and I have stayed in Ibis budget in different European countries. Nonetheless, if it’s only used for a bed for the night and a shower in the morning then it’s okay.